Elmwood Village favorite Nektar will be expanding under new owners, with a new menu and a new name. The restaurant’s patio will be enclosed for seating, adding about 800 square feet to its dining space, said Thomas Cowan, one of the new owners. If all goes well, the restaurant, at 451 Elmwood Ave., could be open by the end of October, he said. Kenmore tacos: A former Iraqi grocery at 2986 Delaware Ave., Kenmore, has become La Divina Mexican Store. It stocks basic Mexican groceries and includes a tortilla machine. On some days, fresh tortillas are used to make pork, chicken and beef tacos, available for sale. When the taco operation is running, tortas, Mexican sandwiches with sliced avocado, pickled jalapenos and taco meat on a griddled roll, are also available. A bigger Kraze: Donut Kraze, the Dingens Street purveyor of scratch doughnuts and breakfast sandwiches, is opening a second, larger store in Tonawanda. The second shop is underway at 365 Somerville Ave., Tonawanda, said John Gruber, a Donut Kraze owner. The plaza also holds Jimmy B’s Deli and Peking Quick One, a Chinese restaurant favored by University at Buffalo students. Despite the ubiquity of Tim Hortons franchises, hometown places like Paula’s Donuts and Donut Kraze have seen business grow in recent years. “Tim Hortons really doesn’t compete with the doughnuts, because they bring them in frozen, and we make ours fresh every day,” said Donut Kraze owner Tim Carney. The original location, at 406 Dingens St., has been open for nearly four years. The Tonawanda menu will include the same sandwiches but probably a broader assortment of doughnut styles, given its larger size, Gruber said. The Dingens store can display about 36 varieties, while the new place should be able to offer more café seating, Gruber said – and more doughnuts. “At least 50 flavors a day,” he said. 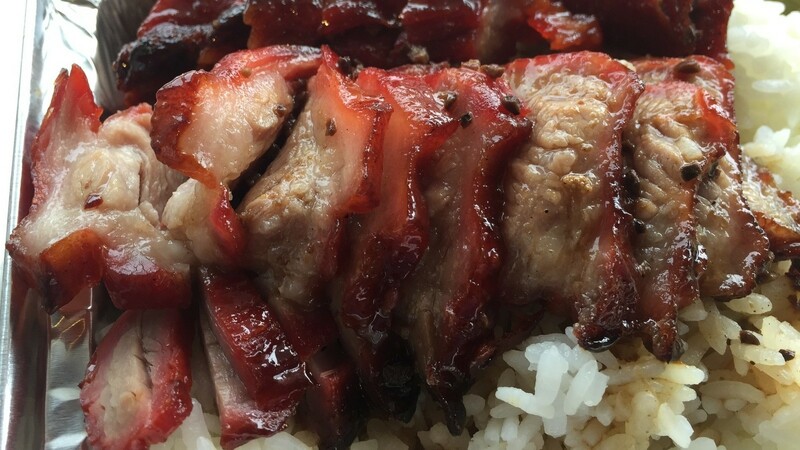 Chinese BBQ: The concentration of Chinese restaurants around the University at Buffalo has grown with the addition of a barbecue specialist. Eddie’s Chophouse, 3171 Main St., opened July 13, specializing in roast pork and chicken, served on rice, or in noodle soup. It also offers roast duck, spare ribs, dumplings, tea eggs, and a small menu of other dishes and snacks. Owner Eddie Liang, a former UB student who grew up in Brooklyn, said he started the restaurant because he thought Chinese barbecue could be popular in the area. Rice boxes, lunch-size servings of meat on rice with sautéed cabbage, are $4.85 to $6. Open: Mexican restaurant La Tolteca, the second local outpost from a Delaware-based chain, opened last week in Hamburg. The restaurant, at 4525 McKinley Parkway, was formerly Titan’s Steakhouse. Opened: Akron Ale House, a bar and restaurant drawing on the model of the successful Ebenezer Ale House and Eden Ale House, opened a month ago. It’s the third place from owners Nathan Springer and Shawn Schweis. “We’re doing the same things we’ve done at our other places, and people seem to be enjoying it,” Springer said. The new place, 15 Main St., Akron, lists a wide variety of craft beer, but also has Bud Light for the traditionalists. The food menu includes the usual tavern fare like artichoke dip and wings, pizza, burgers and sandwiches, but 90 percent of the food is from scratch, Springer said. The fried calamari is soaked in buttermilk before it’s fried, the french fries and chips are cut in house, and “we cut our own steaks,” he said. Andrew Z. Galarneau – Andrew Galarneau is food editor for The Buffalo News.